I was invited by Manchester Metropolitan University to perform at their annual Gold Music Awards and was awarded 'Best Original Song' for my single, So Far From You (below). Upon returning to their campus several months later, I was pleasantly surprised to find the university had used photos taken from the event to promote their contemporary arts department! I composed Horns for world-renowned organist Dr Roger B. Williams MBE whilst a student at Goldsmiths. The piece itself was written for a performance at Union Chapel, London, where both Roger and I would perform live with saxophonist, Fran Berry. The idea behind the piece is that each performer attempts to recreate the sounds of car, ship and train horns, using playing techniques and articulating their chosen instrument - organ, saxophone and live electronics. 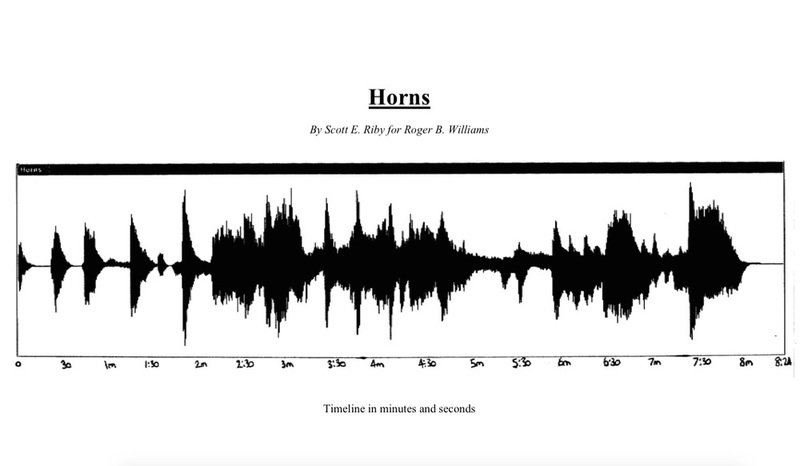 I developed a basic score with a waveform and timeline for the performers to follow, but it is preferable that the piece flows organically in a live context.